Friendship | Then there were three..
A lot of people who I see from school are still all in the same friendship groups and that does make me a bit sad - not for that I now only keep in touch with one person from school, but for the fact that it seems that people are still stuck in bubbles. Don't get me wrong, it is great that these people are lifelong friends - however a lot of them have back stabbed each other through the years and to me that's not a friendship. Currently, I keep in touch with just one school friend - it's a friendship where we may not see each other for months, but when we do it's as though we only spoke yesterday and I would trust her with my life. Other friendships consist of family and work friends - I would say that 80% of my friendships have derived from a job, even jobs I left years ago. Since having my daughter I have also made new-found friendships; other work colleagues who are on maternity the same time as me have become godsends and very close friends. They are the ones I would turn to on a daily basis for a nag and a moan. I have also made a lot of friends online - yes that's right. Not in a creepy stalker Myspace sort of way though! When I found out I was expecting, I logged onto Birth Centre and there was an April 2015 forum, which turned into an April 2015 Babies Facebook group. It's so refreshing speaking to other mothers, especially those who have more than one and can offer advice to us first timers. As mentioned, a lot of friendships have been lost too. In school, I used to be the person who was walked over, digs were made at me by "friends" etc. It got to a point where something very traumatic happened in my life and a "friend" decided to tell people about it, despite asking her not to. When confronted, it was of course denied, even though people had told me who had told them. Other friendships ended over rows, and most recently due to my daughter. It really is true what they say that when you have children you find out who your true friends are. I really really did. Someone I considered to be a best friend, so much so that I had chosen her to be my daughter's godmother, just could not be bothered to make an effort with my child. 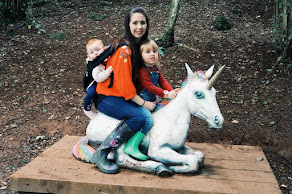 If it had been anyone else I would not have cared, but when it is the person you had chosen as a godparent it made me stop and think; "If something happened to me would I want this person looking after my child?" - if this person could not even take the time to message to ask how she was then why should they be given this title? It ended up in a few messages back and forth, them defending their decision and making out that they didn't need to ask about her as they see photos of her on Facebook, then them deleting me off of all social media along with mutual friends doing the same. I felt like I was back in school, but a huge weight was lifted off my shoulders and I felt like I could finally breathe again. 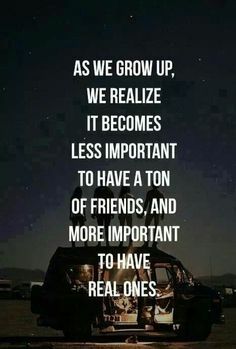 I can finally say that after all this time I am truly happy with the friends I have - whether they live near or far, or even if I have not met them yet, they all hold a place in my heart.